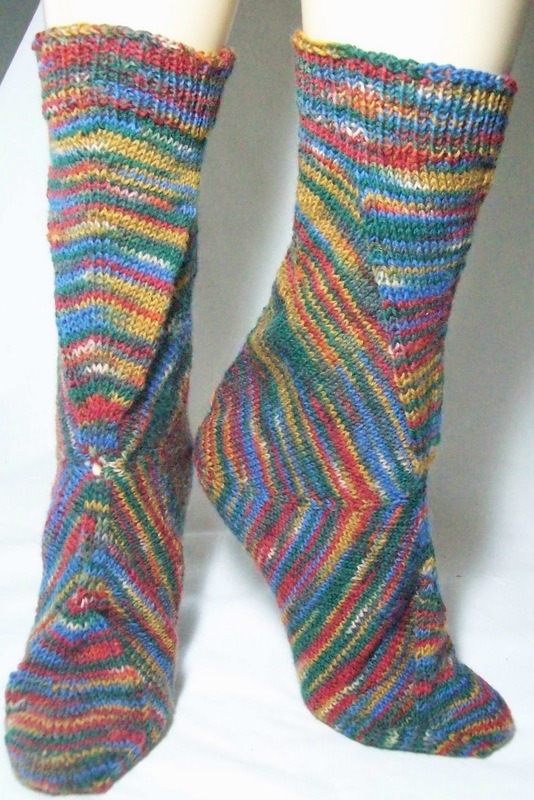 Golden Apples: Finally—They are Socks! Have fun with the wedding thing. Being laid back is good. It's easy to get stressed out. The concept of these socks are interesting. I wish I lived closer to actually see and handle the socks. It will be interesting to see what you do with the pattern. Those are very interesting socks. 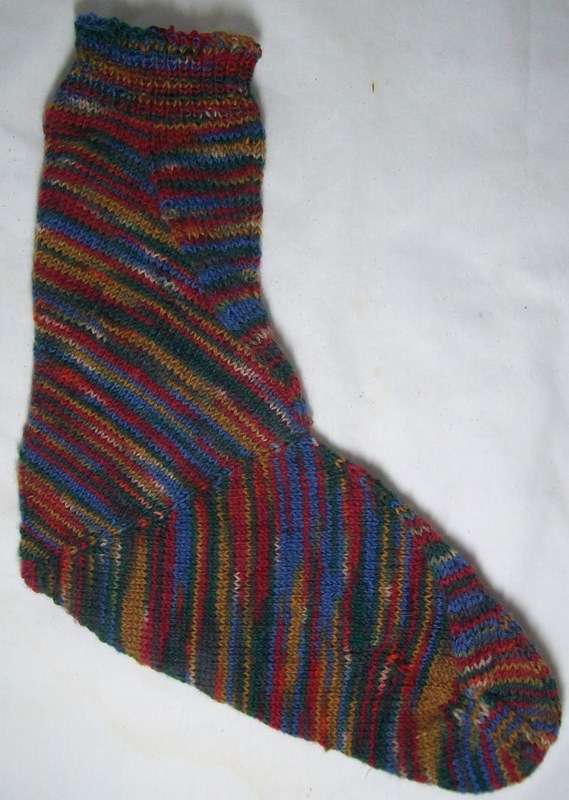 The yarn does lots different looking patterns which is very intriguing and appealing. Since the fit seems to work out, that's another reason to make them; it's time to follow your lead and knit some heel first socks. Have fun with being the mother of the bide, and.. gratz on shrinking!